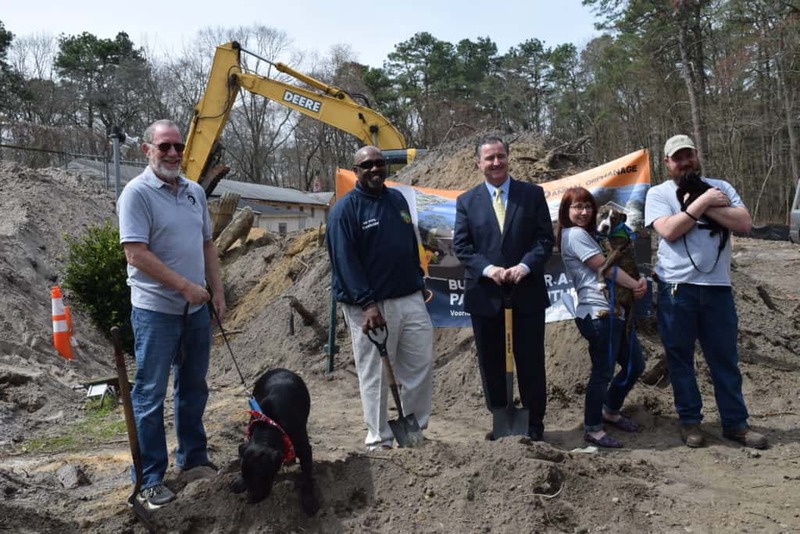 At the groundbreaking ceremony, VAO announced a $100,000 pledge from local volunteer Barbara Patrizzi for the naming rights to the new atrium in honor of her animal-loving parents. 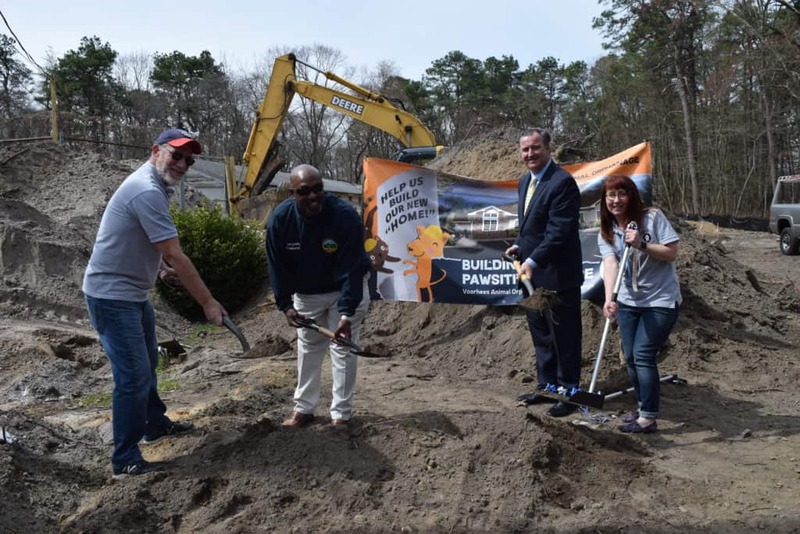 This significant donation marks the $1 million mark for VAO’s Capital Campaign “Building for a Pawsitive Future,”which has made the new shelter possible. The campaign’s goal is to raise $1.6 million to build a new shelter for dogs and cats as they embark on their journey toward their forever homes. Local volunteer Barbara Patrizzi presents a check for $100,000 to the Voorhees Animal Orphanage (VAO) for the naming rights to the new atrium in honor of her animal-loving parents. From left to right: Jennifer Bailey, marketing director, VAO, Barbara Patrizzi and David Semless, president, VAO Board of Directors. VAO anticipates a new building opening by the end of 2019. 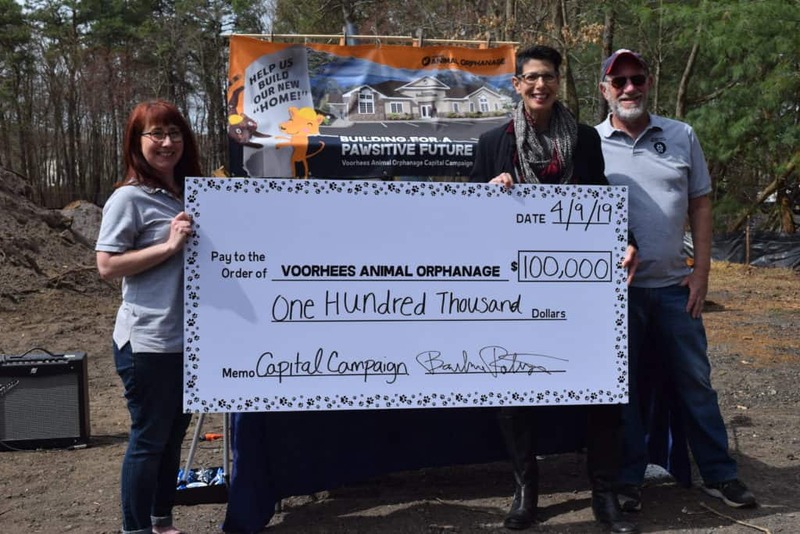 To make a donation to support VAO’s “Building for a Pawsitive Future” Capital Campaign or to learn more visit https://www.vaonj.org/voorhees-animal-orphanage-capital-campaign/. Rendering of VAO’s new building.